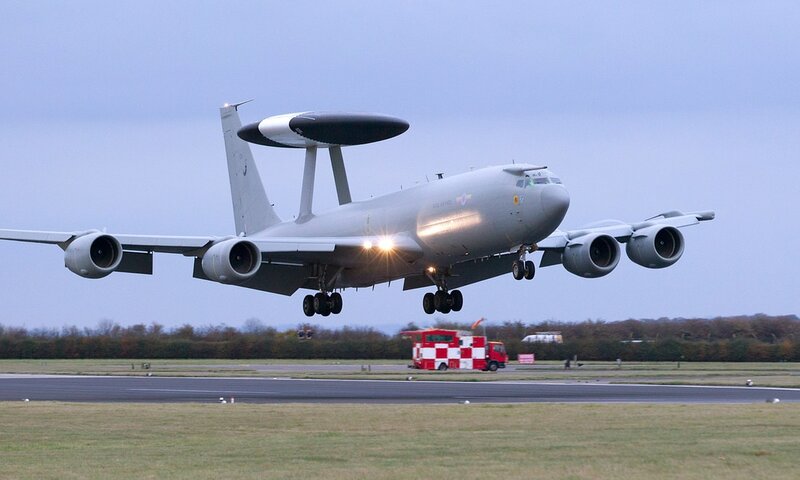 The RAF operates the E-3D Sentry aircraft in the airborne surveillance and command-and-control role. While primarily procured as an airborne early warning aircraft, the E-3D has been extensively employed in the Airborne Warning and Control System (AWACS) role. The Sentry’s roles include air and sea surveillance, airborne command and control, and weapons control. The aircraft’s mission systems can separate, manage and display targets individually on situation displays within the aircraft, or it can transmit the information to ground-based and ship-based units using a wide variety of digital data links. The E-3D also operates as an extensive communications platform. No 8 Squadron operate six Sentry aircraft, out of RAF Waddington, as the UK’s contribution to the NATO Airborne Early Warning and Control Force. The E-3D also forms one arm of the UK Intelligence, Surveillance, Target Acquisition and Reconnaissance (ISTAR) triad. The E-3D Sentry, known to the RAF as the AEW1, is based on the commercial Boeing 707-320B aircraft, which has been extensively modified and updated to accommodate modern mission systems. Mission endurance is approximately 11 hours (over 5000nm), although this can be extended by air-to-air refueling; the E-3D is the only aircraft in the RAF’s inventory capable of air-to-air refueling by both the American ‘flying-boom’ system and the RAF’s ‘probe-and-drogue’ method. The normal crew complement of 18 comprises four flight-deck crew, three technicians and an 11-man mission crew. The mission crew comprises a tactical director (mission crew commander), a fighter allocator, three weapons controllers, a surveillance controller, two surveillance operators, a data-link manager, a communications operator and an electronic-support-measures operator. 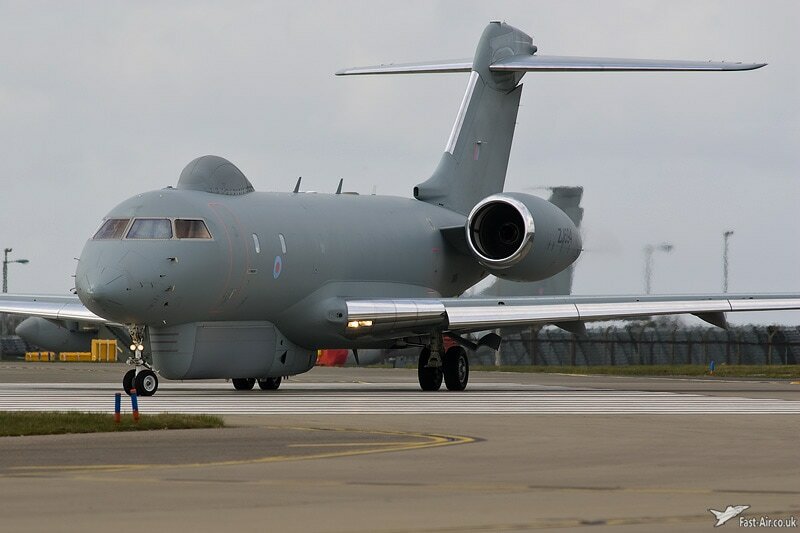 The Sentinel R1 (a modified version of the Global Express, an executive business jet manufactured by Bombardier) is the RAF’s only long-range wide area battlefield surveillance asset, providing critical intelligence and target tracking information to British and Coalition forces. Using the aircraft’s powerful radar the mission crew can identify and track numerous targets over great distances, passing the information in near real time to friendly forces. The mission crew is backed up by a team of intelligence specialists who conduct in-depth forensic analysis of data collected by the aircraft, generating intelligence products that are passed to commanders and decision makers enabling them to plan future operations. The on-board Intelligence Analysts are a mix of RAF and British Army Intelligence Corps SNCOs. The Sentinel R1, which entered service in December 2008, is the most advanced long-range, airborne-surveillance system of its kind in the world. 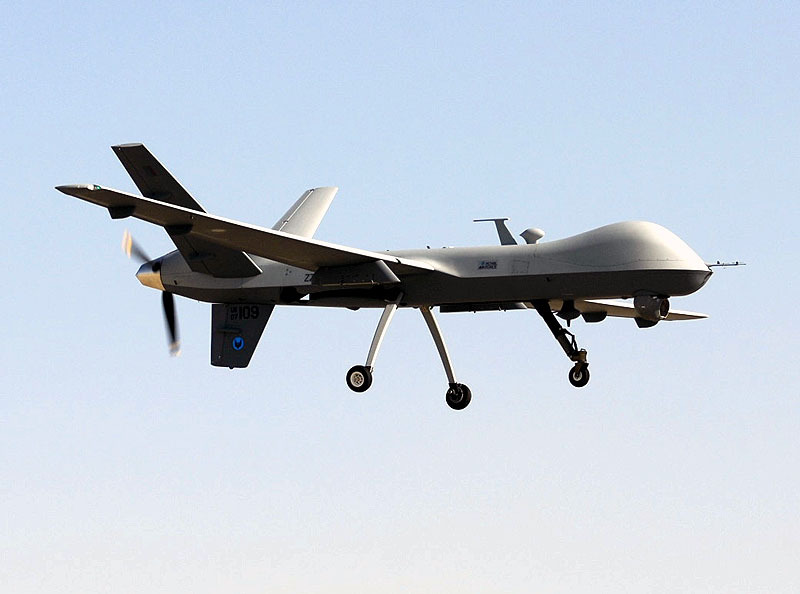 The aircraft has been deployed operationally in Afghanistan since 2009 and provided vital intelligence during NATO operations in Libya in 2011, and French operations in Mali, in 2013. Variants of the RC-135 have been in service with the United States Air Force (USAF) since the 1960s, forming the backbone of the United States airborne intelligence collection capability. The RC-135W Rivet Joint is a large, all-weather electronic surveillance aircraft based on the C-135 airframe. 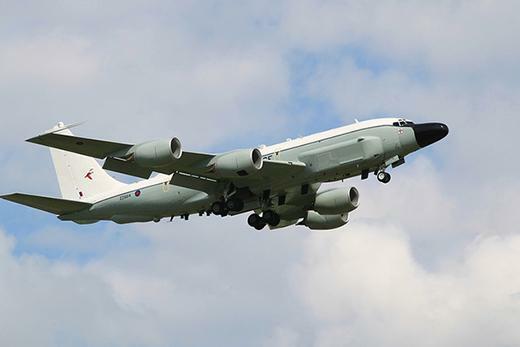 The Royal Air Force has purchased three RC-135 Rivet Joint aircraft, currently being converted from KC-135R Stratotanker airframes to RC-135W standard at the L3 Communications facility in Greenville, Texas. The first aircraft is due for delivery in late 2013, with the final delivery expected in 2017. A programme of continual upgrades has kept the USAF RC-135 fleet at the cutting edge of technology and relevant capability. The three RAF aircraft will continue to benefit from the upgrade programme in turn with USAF aircraft. The RC-135W Rivet Joint is equipped with a variety of sensors, allowing its multi-disciplined crew to intercept and exploit emissions across the electromagnetic spectrum, providing both strategic and tactical level intelligence. 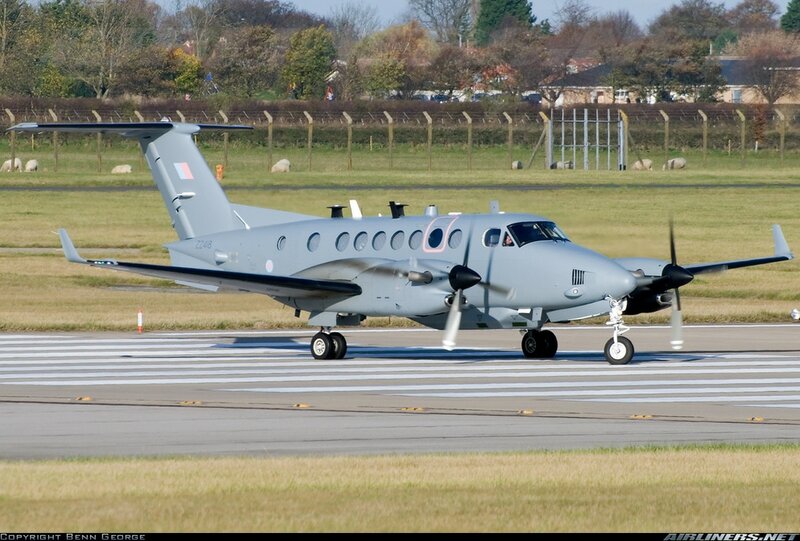 The Beechcraft Shadow R1 aircraft of 14 Squadron, RAF Waddington, is part of the Intelligence, Surveillance, Target Acquisition and Reconnaissance (ISTAR) group of systems. ISTAR improves a military commander’s awareness of what is happening on the ground or in the air, allowing him to formulate sound plans in an operational environment. It is a powerful tool, indispensable when conducting modern ISTAR day operations.